Orginal post here by Terry Heick, TeachThought. Glogster is like a digital bulletin board where students can mash together multimedia content, from text and photographs, to videos, screenshots, and other digital fare. Not really. 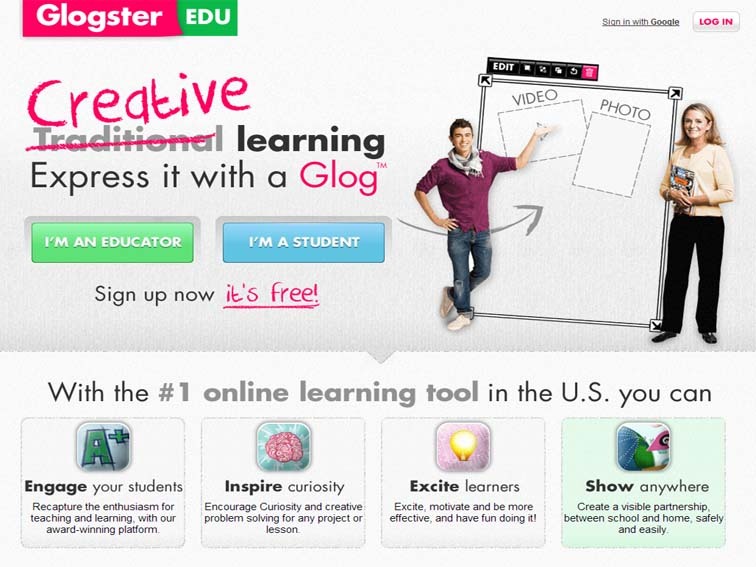 Glogster is free for individuals and single educator accounts with up to 10 student sub-accounts, but use is limited–you can’t view examples from their Glogpedia, for example. For that (and other upgrades), you’ll pay between $30 and $100 per year. But if you use it with any regularity, the cost may be worth it. That depends on what other similar tools you already use (blogging, pinterest, learnist, storify, etc. ), and how often students work with visual media in your classroom. I’d suggest giving it a shot, students respond well to it because of its visual nature. Check the screenshots of their “Glogpedia – History” for ideas.